Solar electric or photovoltaic (PV) systems convert sunlight into electricity. The amount of power generated by a PV system depends on the size of the system and how much sunlight reaches it. 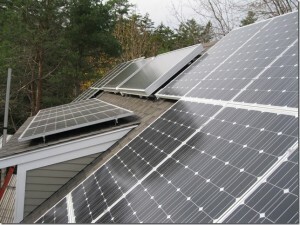 A typical PV system is an array of solar panels connected to the utility grid and/or batteries. The performance of PV systems is measured in terms of their efficiency at converting sunlight into electricity. Environmental Impact – PV systems can reduce the carbon footprint of your home or business by producing electricity with a renewable resource. Low-cost electricity – Once installed, PV systems generate electricity at little to no cost. Predictable energy costs – Since most of the costs of a PV system are related to the installation, solar electricity is not subject to the same fluctuations as traditionally sourced electricity. Solar exposure required – Not all locations are good candidates for PV systems. Ideally, installations should be southern-facing with unobstructed sunlight. 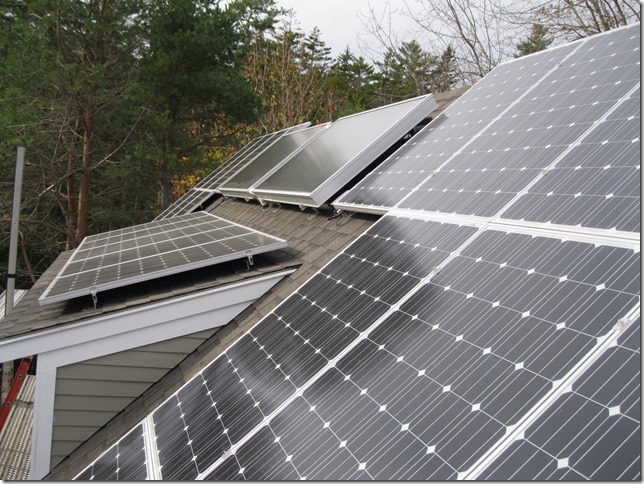 Homeowners interested in finding out more about solar electric systems can click here to go to the Department of Energy’s guide to solar photovoltaic systems.